An MP has been forced to withdraw from work at Westminster until 2018 after undergoing emergency surgery. 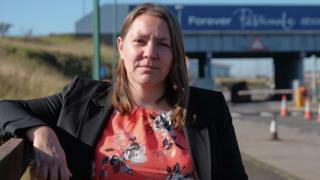 Redcar Labour MP Anna Turley said doctors had advised her to rest until the New Year following operations to remove infected cysts. She stressed constituency staff would still be available to offer advice. Ms Turley, 39, also said she would have to miss a planned appearance at a Remembrance Sunday service in her constituency. She revealed she had first been taken to hospital in June while in London and spent some time at St Thomas's Hospital. Ms Turley said: "I am currently watching fireworks over the Houses of Parliament and thinking of the great displays I usually attend in Redcar. "I'm down in London because I'm in St Thomas Hospital, where I was first rushed into A&E back in June. "I've had a number of operations over the summer to alleviate problems with infected cysts which unfortunately weren't successful and last week I've had major surgery to fully remove all the infected tissue once and for all. "I have been signed off for physical recuperation until the new year. "These are symptoms, problems and procedures thousands of women experience every year in the UK and I am grateful to all the staff at both St Thomas' and James Cook for the care I've received. "My office will, of course, still be functioning and available for individual constituents' help, advice or general enquiries. "I would like to thank everyone for the support and good wishes I've received whilst ill and look forward to being fighting fit and back to full health in the new year."